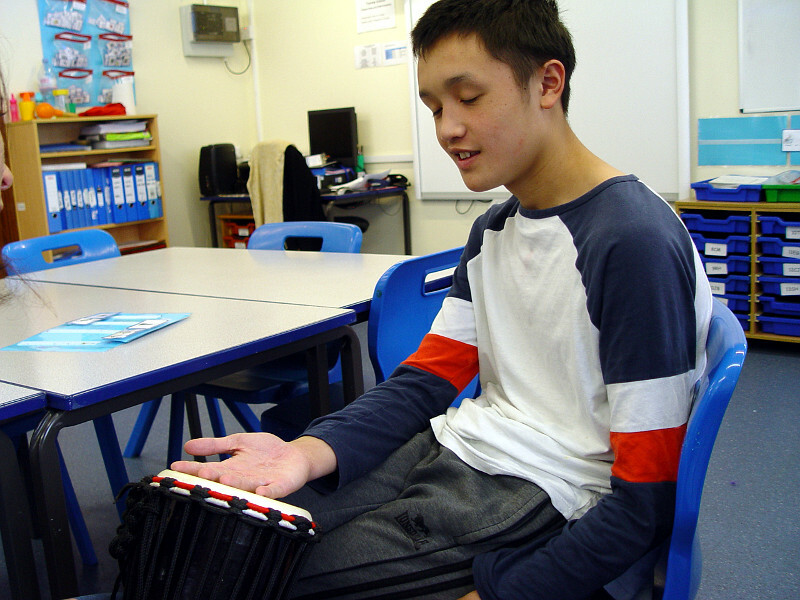 The Class 10JB students have made some wonderful progress during our summer term music lessons. The main learning intention is to understand about the concepts of musical pitch and scale. We have been using the school glockenspiels to see how different notes can be produced. 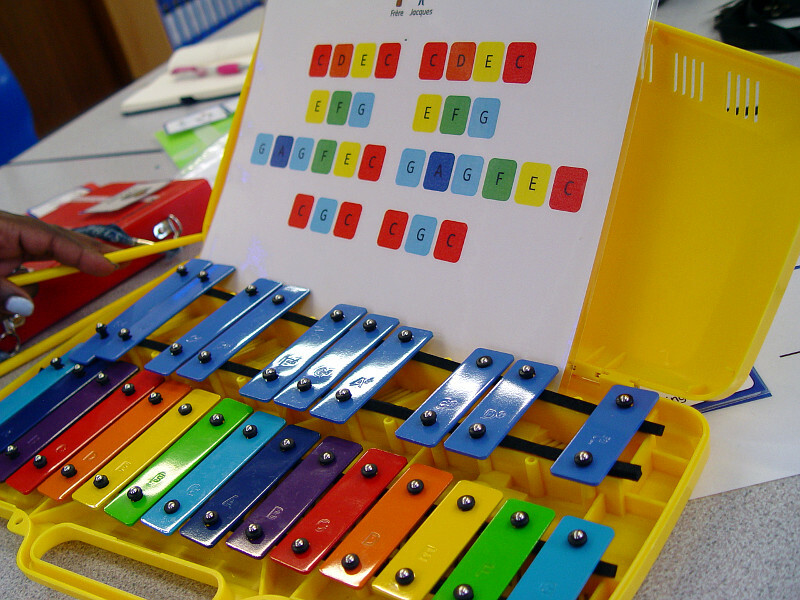 A large part of this learning is for the students to recognise how you can create a sound using this instrument. The next task was to order the notes by their names. 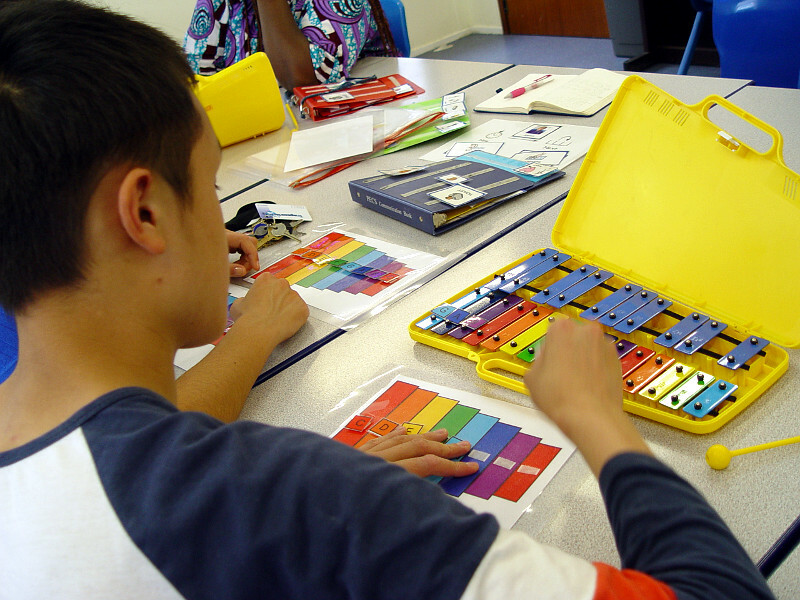 A colour coded scheme was used for this exercise. Coloured cards with each note were given to the students. 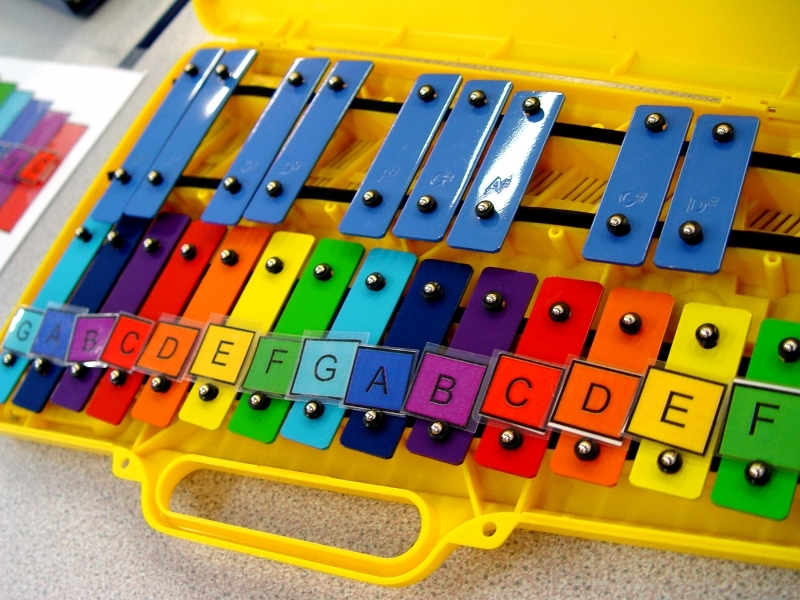 The colour on the card matched the colour of the glockenspiel key. The task was to label each key correctly. 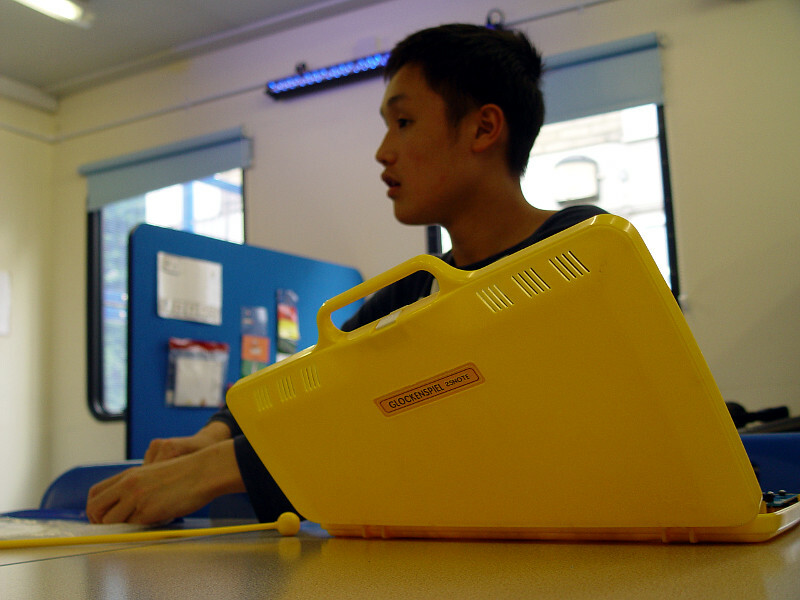 This work will lead to the Class 10JB students being able to play a simple song on the glockenspiels. They will be using the colour code system to identify the order of the notes. Our music sessions always end with some choosing time to reward the hard work. 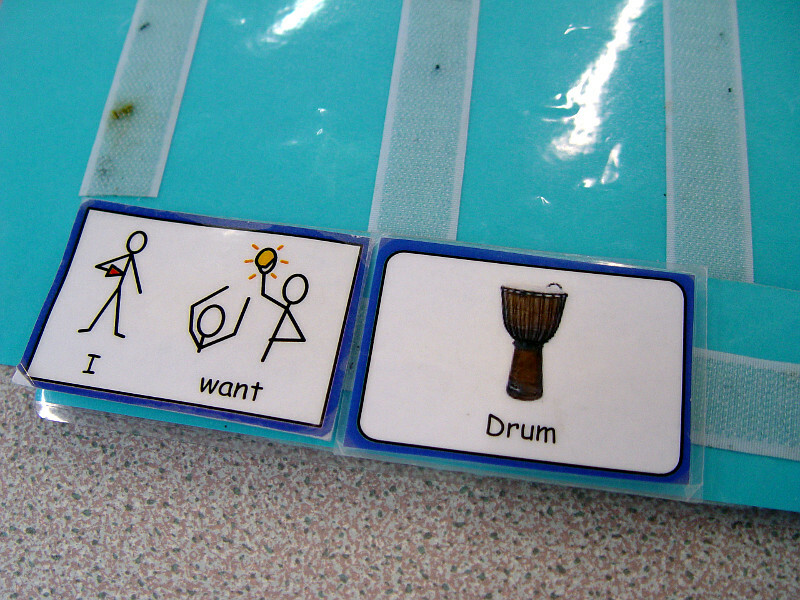 Each class member uses the Picture Exchange Communication system to request an instrument to explore.